If you have set up an Apple ID but you aren’t allowed to download any apps without providing credit card information, then you are not alone. Many iOS users have faced this issue. Fortunately, there are solutions available and you can use them to easily bypass credit card Apple ID. Part 2: What If You Forgot Apple ID Password? There are two ways to bypass credit card Apple ID issue. You can either create a new Apple ID without providing credit card information or use your existing Apple ID but remove the credit card payment method from it. You can change your payment information from your Apple ID anytime and set it to None. As stated above, if you don’t want to create a new account, then it is recommended that you remove the payment method from it. Simply log into Apple Books, iTunes Store, or App Store and remove the payment method via the settings menu. Once you have removed it, you will no longer have to provide a payment method when downloading free apps. 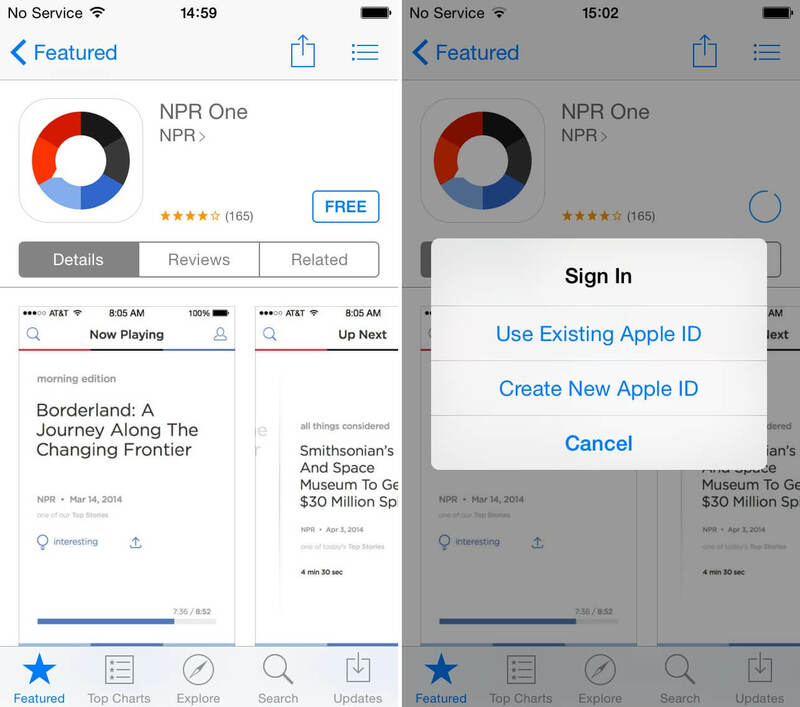 You can create a new Apple ID in the App Store on your iDevice. You will simply need to choose the option ‘None’ when you are asked to provide payment information. Step 1: Launch App Store on your iDevice. Step 2: Find a free app and tap the ‘Get’ button. Step 3: You will be asked to sign in with an Apple ID. Tap on ‘Create New Apple ID’ option instead. Step 4: Now follow the on-screen instruction to create a new Apple ID. When you are asked to provide payment information, select ‘None’ option. Step 5: After inputting all the required information, you might be asked to verify the trusted phone number (if you have two-factor authentication enabled). Otherwise, you will need to verify the Apple ID via your email. Once you have verified your Apple ID, you can use it. After creating a new Apple ID by following the above-mentioned steps, you will be able to download/install free apps and the system won’t ask you to provide payment information. What If You Forgot Apple ID Password? While creating a new Apple ID with ‘None’ option selected for payment information section is an easy way to bypass Apple ID credit card issue, you will need to sign out of your existing Apple ID first which can be challenging if you forgot Apple ID password. If you don’t want to recover the password, then it is recommended that you remove your Apple ID via professional Apple ID removal tool iMyFone LockWiper. 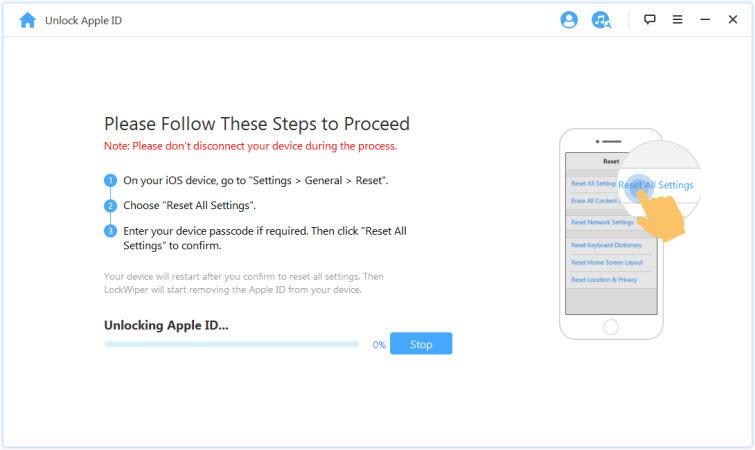 This tool will help you remove your Apple ID from your iDevice conveniently within just a few minutes. The process is quite simple and there are many other useful features of LockWiper as well. Remove Apple ID from any iDevice conveniently, without providing any password. You can even remove your Apple ID from your device if you don’t remember the Apple ID itself. User-friendly and suitable for beginners. You don’t have to be a tech-savvy person in order to remove your Apple ID from your iDevice via this tool. Bypass all types of iDevice screen locks, including 4-digit passcode, Face ID, Touch ID, and more. Simple 3-step Apple ID or screen lock removal process i.e. connect device, select the unlocking mode, and remove the lock. Step 1: Connect your iDevice to your PC. Step 2: Launch LockWiper and select Unlock Apple ID mode. Step 3: On the next screen, click on Start to Unlock button. 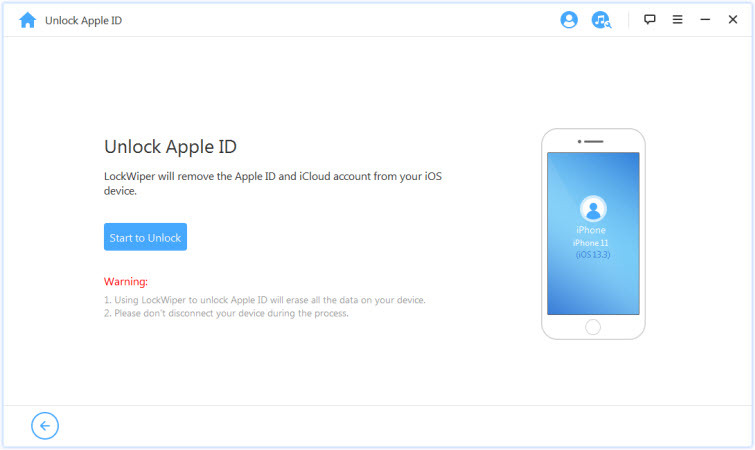 iMyFone LockWiper will start the Apple ID removal process. If Find My iPhone is disabled on your device, then the Apple ID will be instantly removed. Otherwise, you will need to reset your device settings first. Bypassing credit card Apple ID can be a challenging task. Fortunately, there are several solutions available. You can either solve this issue by removing the payment method from your existing Apple ID or create a new Apple ID and choose ‘None’ option when you are asked to provide payment information. Creating a new Apple ID requires you to sign out of the existing ID which can be challenging if you forgot the password. 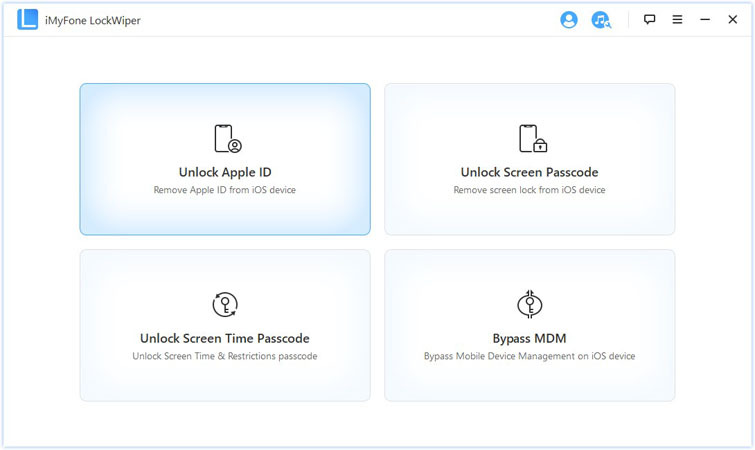 For this purpose, it is recommended that you use iMyFone LockWiper as it is a powerful Apple ID removal tool and can help you remove Apple ID from your iDevice without requiring any password.